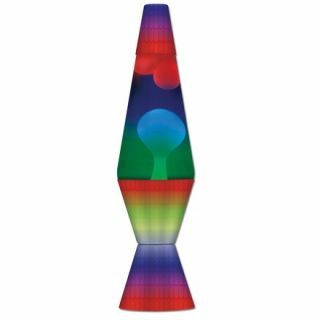 Ah, the LAVA lamp. One of the most beloved and recognizable icons from the 1960s and 1970s. 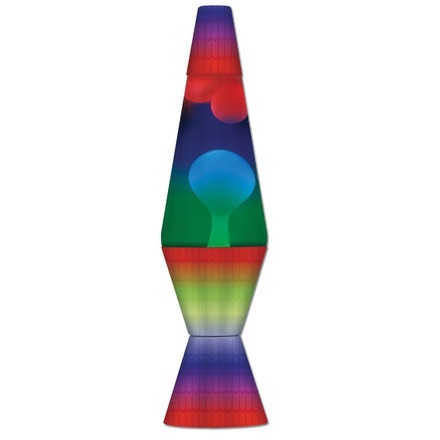 LAVA Lite resurrects the groovy gizmo, bringing it back to the forefront of trendy home decor. This 14.5 lamp features a rainbow base and a tricolored glass globe with white wax and clear liquid. Measures 4 x 4 x 16.62 in box.